This blog largely concerns itself with good art, because that is where the most interesting ideas are found. But bad art, while not uplifting, can still be full of information. Here we have an example. 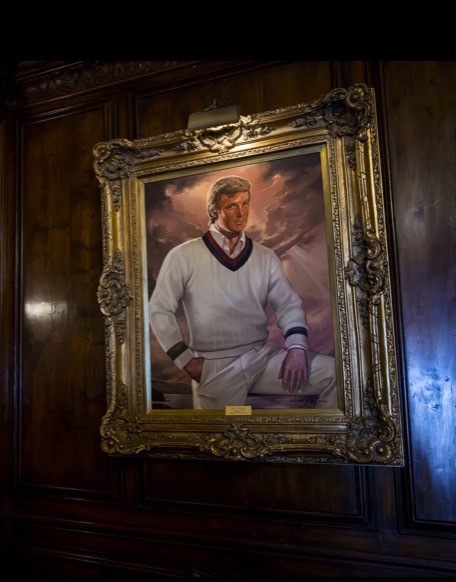 The portrait (of Donald Trump, in case you didn’t recognize him) is feeble and kitchy, and the massive gold frame is vulgar–very much in keeping with the subject as he is portrayed: cocky and superior.